I have a lot of lipsticks, or lip products. But the one thing I don't own a lot of is MAC's lipstick, purely because they are so pricey, when you could buy two or three lipsticks for the equivalent of one MAC lipstick. I only own four, but they are all beautiful shades that are different from each other. 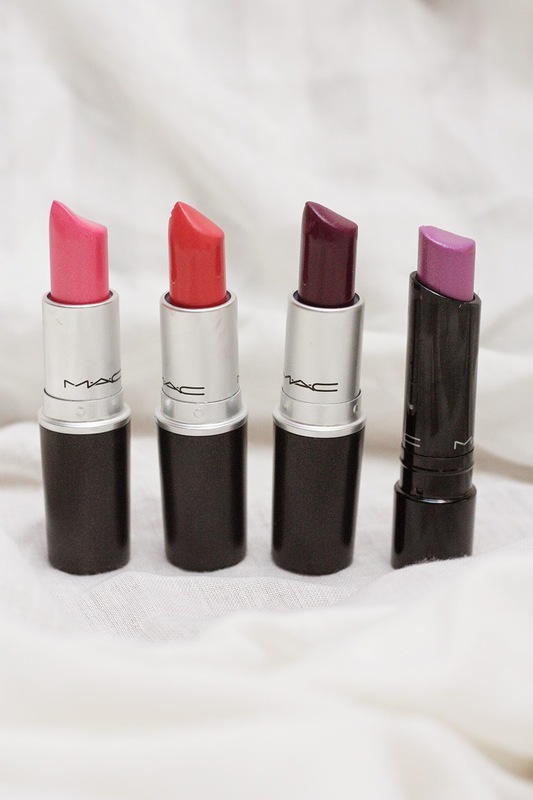 The one thing in particular that I love about the lipsticks is that they smell good! Is that weird? But don't you agree? Some lipsticks can smell of crayons or chalk, just not a pleasing smell. Another great thing about these lipsticks is that they last for ages and they are super pigmented!